The ideal platform for enhancing productivity and security in the digital office. 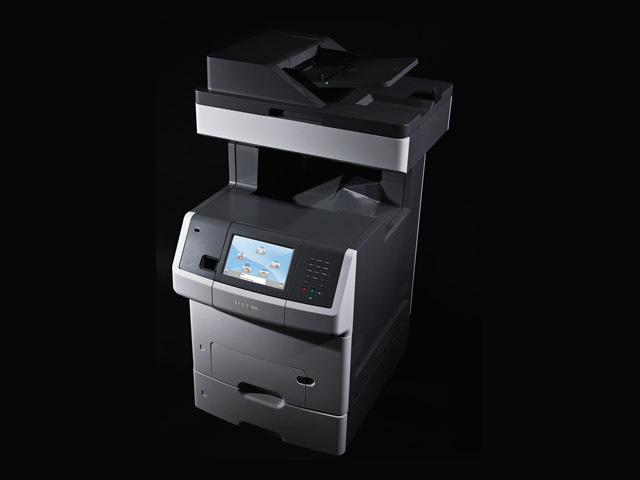 Tailor it with one or more of Lexmark’s workflow apps, or simply work more efficiently with duplex scanning, advanced copy functions, rapid speeds up to 33 ppm, and standard input capacity for up to 3,200 sheets. Hard disk standard for expanded functionality. 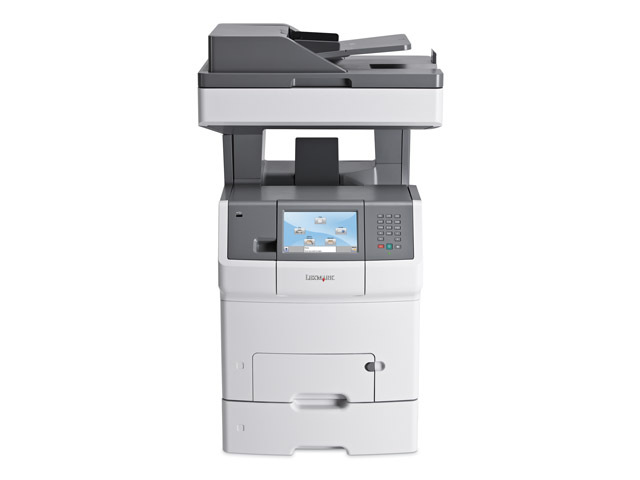 Advanced copy functions include Priority Copy to temporarily interrupt long print runs; ID Card Copy to image two sides on one sheet; and Sample Copy to preview a job. All this with flexible, state-of-the-art security that lets you enable or disable functions with ease. Network-ready and very easy to set up, plus Universal Driver support for simple deployment. On-screen custom messaging informs users with clear status messages like Toner Low, Call Placed. Includes Lexmark MarkVision™ Enterprise software for easy remote management.